Earaches can be incredibly painful! 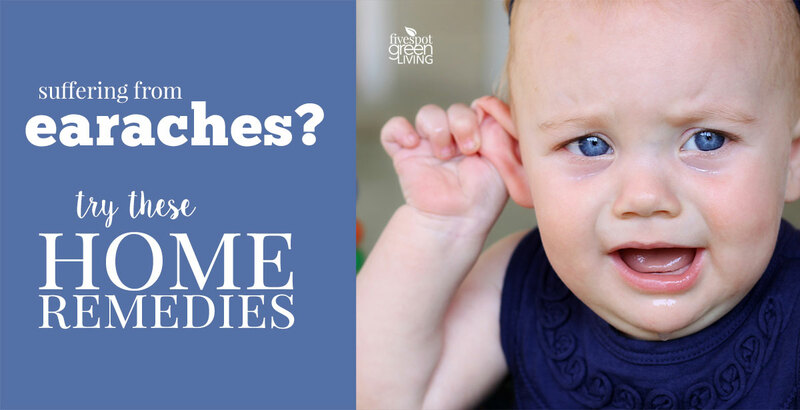 My kids have never had earaches, thankfully, but I know so many kids that have had them. There isn’t a lot of information about how to treat them at home before resorting to antibiotics, which we all know we don’t want to use unless absolutely necessary due to immunosuppression when taken too often. 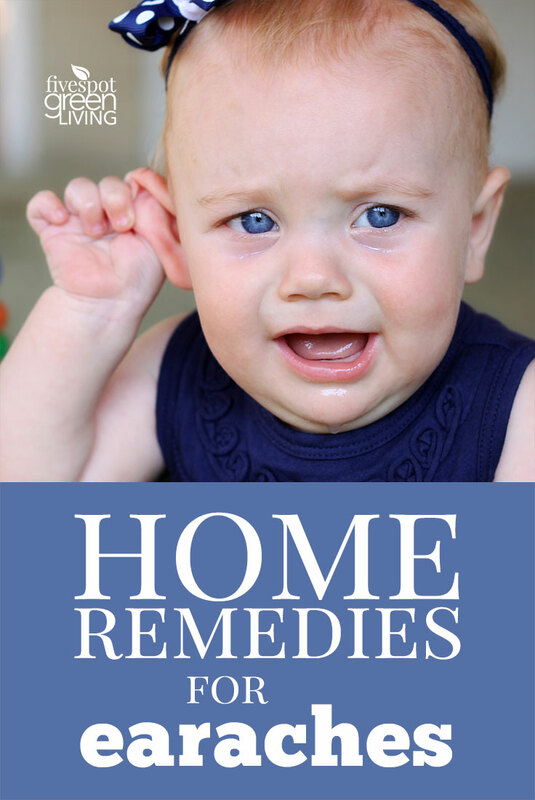 If you’re looking for a natural remedy to relieve your ear pain, here are some really good home remedies for earaches! Chances are you already have some of the ingredients that can help soothe an achy ear in your home. Herbal Medicine Remedies are always the best line of defense against various ailments because we usually have the ingredients right around the house anyway. While it’s not scientifically proven, it is believed that putting a few warm drops of olive oil in the ear can help relieve pain. To help prevent eardrum burns, be sure to use a thermometer to make the oil is body temperature. Due to its antibacterial, antiseptic, anti-inflammatory, and anti-fungal properties, tea tree oil is believed to be an ideal home remedy for earaches. You can put a few drops of tea tree oil in the ear or you can mix it with a few drops of olive oil beforehand. Find more tea tree oil uses here. This is perhaps the most well-known home remedy for earaches. Since hydrogen peroxide has antibacterial and antiviral properties, it is thought to help treat the underlying infection. Simply place a few drops of hydrogen peroxide into the aching ear. Since vinegar is an antiseptic, it is thought to help get rid of the infection that may be causing your earache. It’s a popular home remedy for swimmer’s ear. Both white and apple cider vinegar are believed to work. Place a few drops in the ear. You can also combine vinegar with hydrogen peroxide, which is believed to have even more of an antiseptic effect. Not only does garlic have antibacterial properties, but it has also been found to aid in pain relief. To take advantage of this home remedy, all you need to do is soak crushed garlic in olive oil for a few minutes. Strain the garlic out and then place a few drops of the oil into the ear. Are your ears aching from pressure or high altitude? If so, chewing gum can help relieve your ear pain. Because of its antibacterial properties, onion has become a popular earache home remedy. All you need to do is dice an onion and then remove its juice. Place a few drops into the ear. These are just a few home remedies for earaches. If you find that these methods don’t help get rid of your ear pain, be sure to see a doctor. You may have an infection that requires antibiotics.